All-Ukrainian Civic Association “Successful Ukraine” (“Uspishna Ukraina”) is a nonpolitical All-Ukrainian civic organization (NGO) which was established in August, 2004 on initiative of a group of people concerned with the destiny of Ukrainian people. Businessmen Yuriy Boyko and Olexandr Ostryk, a state employee Volodymyr Vorobyov, a medical worker Galyna Soborova and an attorney in law Stanislav Kharlanov became founders of the organization. 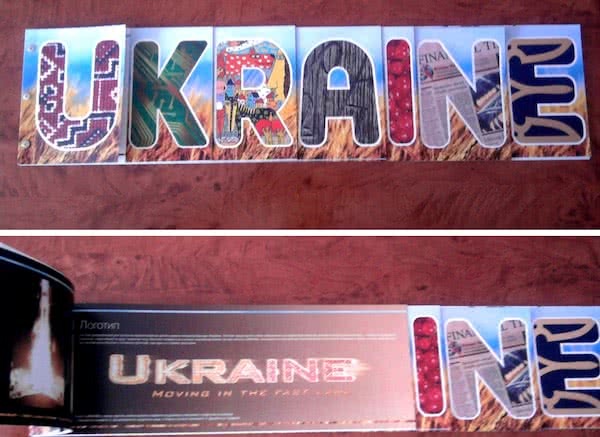 The main goal of the creation of this organization is to unify our citizens’ efforts in favoring the accomplishment of a “large jump” of our country and its transformation into a developed democratic state with a civilized market economy in 10 years — a Successful Ukraine, where a majority of the citizens would be satisfied with the level of life and proud of their Motherland. We contribute to the development of the civil society in Ukraine, support and evolve initiatives which are aimed at attainment of personal and social success, upbringing of citizens’ dignity and protection of their rights, making appropriate conditions for the successful business by means of conducting reform of Ukrainian tax system and other extremely necessary reforms. Unfortunately current experience of activities of political parties and political elite of Ukraine demonstrates their incapability in consolidating society and leading it to success. The UCA “Successful Ukraine” unites citizens, who don’t want be involved into politics because of different reasons, but want to improve life in Ukraine: these are socially active representatives of small and medium-sized businesses, state employees, scientists, educators and others, who want to work efficiently under any authority and don’t want to depend on it. This way, to our mind, is the shortest one in gaining the civil society status: only successful citizens who went through the protection of their own property and rights will eventually help society to “give birth” to the real political elite. Promotion of the idea of the organization’s final goal in the society: society unification, efforts synergy, a “large jump” with the aim of transforming Ukraine into a developed competitive democratic state as soon as possible. Elaboration and approval of the Strategy of the development of Ukraine. The UCA “Successful Ukraine” supposes, that Ukraine will be able to develop in a European way and accomplish a “large jump”, if the Strategy will be elaborated and ratified on the legislative level. The Strategy would foresee principle positions of the external and internal politics, directions in building up the state irrespective of the government, which in at power at that time. A frequent change of the governments, chaos in the directions of the external and internal politics deprives Ukrainian of the answer to the question: “What country do we build?” and is one of the main factors of instability in Ukraine. This is why The UCA “Successful Ukraine” initiates the elaboration and ratification of the Strategy of the development of Ukraine. Reformation of the tax system of Ukraine. We strongly believe that existent system of taxes is one of the main reasons of the slow development of the Ukrainian economy, braking of the initiatives of the domestic businesses; it is a huge space for the blooming of the corruption and black economy. The organization is in the process of implementing a global project “Tax evolution” and its first component “Lobbying of the tax reform of in the bodies of authority”. Support of the activity and development of the public councils and other public advisory organizations under executive authority bodies. Work experience of the members of the UCA “Successful Ukraine” in public councils convinces us that they are one of the most effective forms of the cooperation of businesses and other sectors of the society with government, that is, civilized lobbying for citizens own interests. Favoring the expansion of the transparency in the activities of the bodies of power of Ukraine and counteraction to corruption in all its manifestations. We prepared a number of projects which are aimed at the counteraction to corruption in Ukraine, expansion of openness and transparency of the government (“Elimination of nonconformity of delegated legislation of the state bodies with the legislation in force and international acts ratified by Ukraine as a mechanism of prevention of corruption phenomena manifestations”, “Implementation of the mechanism of realizing the rights of a citizen in receiving information for working out analytical materials and proposals based on them regarding amending the Ukraine’s legislation in force for the expansion of transparency and openness of the bodies of power, etc.” ). Favoring the growth of the competitiveness of a person, a family, a company, a region and in such a way ensuring the creation of the developed and competitive state. In 2007 we realized that our work on the level of the central authority is low in efficiency, that is why we make an emphasis on the affairs of particular people, companies and especially in the regions of Ukraine. Overall support and protection of the rights of citizens of Ukraine. We gained success in protection the rights of the representatives of small and medium-sized businesses, we plan on developing a new direction — protection of state employees rights. We consider that both of these categories of the Ukrainian citizens should be independent of the politicians and government and attempt to guarantee the growth of stability in Ukrainian society with the help of progress in this direction of the activities. Environment protection. We were successful in winning a number of legal cases regarding this subject and we favor expansion of a national parks network. Members of the UCA participated actively in the Orange Revolution in 2004. But in August, 2005 a fundamental decision about the nonpolitical development of the organization and supporting of none of the political forces in future was made. From the beginning of 2005 we contribute to the development of one the main mechanisms of the public influence on the government — public councils under the bodies of power. Members of the UCA “Successful Ukraine” have been and are members of the Council on External Economic Activities and Council of the Entrepreneurs under the Cabinet of Ministers of Ukraine, Council of Associations of National Manufacturers under the Cabinet of Ministers of Ukraine, Public Council under the Ministry of Foreign Affairs of Ukraine, Public Council under the State Tax Administration, Organizing Committee of National Commission on Tax Reform and others. Working in these bodies members of the organization contribute to the creation of appropriate conditions for the development of civilized business in our country. In May, 2005 we successfully lobbied establishing of the import duty at the rate of 10% on import of computers in such a way defending national computer manufacturers. We influence upon the government and other political forces in a democratic way. In 2005 the UCA “Successful Ukraine” initiated conducting of unifying round tables between politicians and civil organizations, which represent the interests of businesses. We proved that a civilized dialogue between the government and business in possible. We initiated a change of format of electoral struggle at the end of 2005: from parties’ commercials and billboards to explaining the programme aims and projects of particular economic reforms. At the beginning of 2005 we carried out all the necessary measures for the conduction of the All-Ukrainian referendum on early cessation of term of office of the Parliament of Ukraine of the fourth convocation, but this initiative was “buried” by the officials because of the imperfect legislation. Our initiatives on the improvement of the legislation of Ukraine on referendums are ignored by the politicians even now. We support success in all spheres of life: in 2005 we supported a young golfer Ruslan Garkavenko from Bila Tserkva who won the Cup of Ukraine in golf later that year. During 2005-2008 more than 10 round tables on main directions of the organization activities were held. The most resonance meetings were those discussing such topics: “Tax Reform — The Ways and Mechanisms of Implementation” (participants: the Head of State Tax Administration of Ukraine, Deputy Minister of Economics, Deputy Minister of Finances, Members of Parliament, Members of Kyiv City Council, national and foreign experts (US Ex-Congressman John Conlen), executives of enterprising structures), “Economic reforms in Ukraine in 2006 in the context of parliamentary elections” (2006), “Optimists’ view on hot Ukrainian projects: Budget — 2007, Reform of the tax system, Strategy of the development of the country” (2007) and others. In September, 2007 the UCA “Successful Ukraine” organized an International Media-forum on the problems of the channel construction “Danube — the Black sea” in the cities of Odessa, Izmail, Vylkove. We carry out many researches and public actions on the subject of taxes. In 2007 we successfully implemented a project “Public dialogue regarding alternative evaluation criteria of tax politics changes” granted by the International Foundation “Renaissance”. Our proposals are taken into account in the projects of the Strategy of Reforming of the Tax System of Ukraine and Tax Code of Ukraine. Our tax portal www.taxes.org.ua State Tax Administration of Ukraine recognized as the best Ukrainian electronic mass media on the subject of taxes in 2007. The UCA “Successful Ukraine” supported the idea of National Strategic Assembly (NSA) and became one of the initiators of creation of the Working group on elaboration of the concept NSA (September, 2007) and properly National Strategic Assembly (May 2008). The UCA “Successful Ukraine” supported the idea of creation of the National Park in Sumy region “Velykyi bir” (Shostka district). Regardless of the constant obstacles in creation of the park coming from particular representatives of state bodies and bodies of local self-government of Sumy region, as a result of reiterated addresses to corresponding state bodies and the President of Ukraine, on August 27, 2008 the President of Ukraine signed a Decree № 774/2008 “About Urgent Measures Regarding Expansion of the National Parks Network”, by which he supported our initiative about the creation of the National park “Velykyi Bir”. Ostryk Olexandr Ivanovych, Member of the Board of the UCA “Successful Ukraine”, legal adviser of the Committee of the Parliament of Ukraine on Fighting Corruption and Organized Crime, General Director of the firm “Kashtan”. We see further development of the UCA “Successful Ukraine” in cooperation with citizens who will solve their own and social problems with the help of the organization, in such a way forming efficient centers of the organization. We are sure that year by year Ukrainian elite and all the citizens will realize better the fact that Ukrainian capitalism will be able to transform from today’s “wild” state to “civilized” one only in the conditions of strong civil society, and the influence of our and other civil organizations on the social processes will increase.